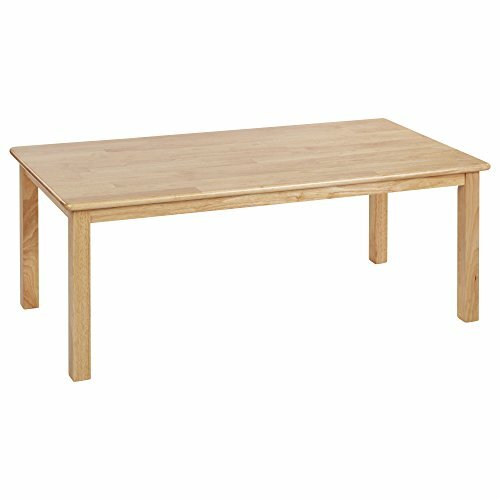 ELR-066 Leg Height: 22", Table Size: 24" x 48" Features: -Cubby can be stacked: No. Table Top Finish: -Natural. Table Base Finish: -Natural. Table Top Material: -Wood. Table Base Material: -Wood. Dimensions: -Weight capacity: 27 lbs. Leg Height 18" - Table Height - Top to Bottom: -19". Table Size 24" x 36" - Table Width - Side to Side: -36". Table Size 24" x 36" - Table Depth - Front to Back: -24". Table Size 24" x 36" - Overall Product Weight: -27 lbs.